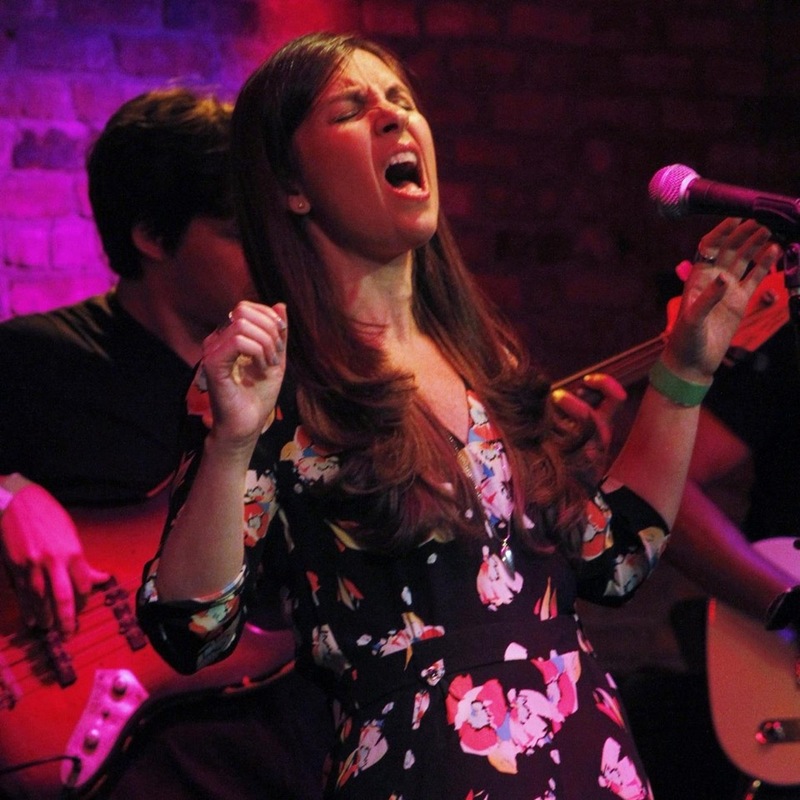 Singer-songwriter Jess Pomerantz keeps things Simple. For Jess, her heart simply lies with her music and her family. Jess has been performing in the clubs of New York City for years now and recently released her first EP, Simple in Disguise. Her pop sound has evolved over time into a place where not only has she found a comfortable career path, but she has also found her true voice. 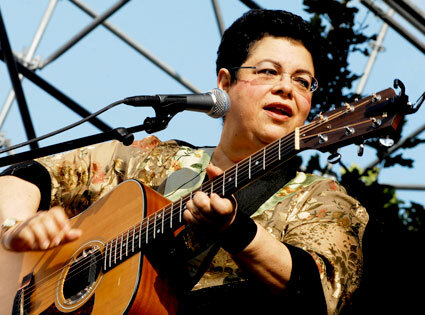 Though she was singing from a young age, Jess was a teenager when she first met her cousin, the late singer Phoebe Snow. 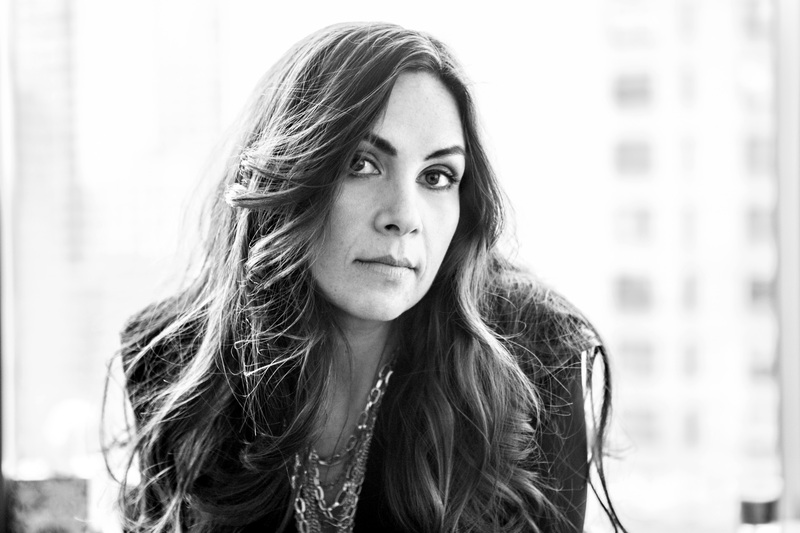 Phoebe encouraged Jess to continue with her music aspirations and even today, nearly six years after her death, Jess feels she is still surrounded by Phoebe’s spirit. Onstage Magazine had the pleasure of talking with Jess Pomerantz about Phoebe Snow and the importance of family, as well as her music and new album. Kath Galasso: There’s a quote on your website, “I used to sing more eclectic, trying to make myself different. I found I wasn’t connecting to my fans because I wasn’t being authentic. It took me time, but I have finally found my voice.” How did you come to that realization, and how did you go about finding your true voice? Jess Pomerantz: I am definitely a child of the ‘90s, I love ‘90s rock, that’s where I grew up. Fiona Apple was my favorite. She was very different and unique with a really exotic flair to her writing and the way that she presented herself. I was young, I didn’t know who I was or how to present myself. When I look back at it now, I feel like I kept trying to be my own version of Fiona Apple and it felt very forced to me. I wasn’t connecting with it, it felt very disingenuous. I wanted to present myself in a fashion that rang true to who I was. The stuff that I connected with the most was the pop-rock sound, and I took a lot of my old songs and changed the energy of it. 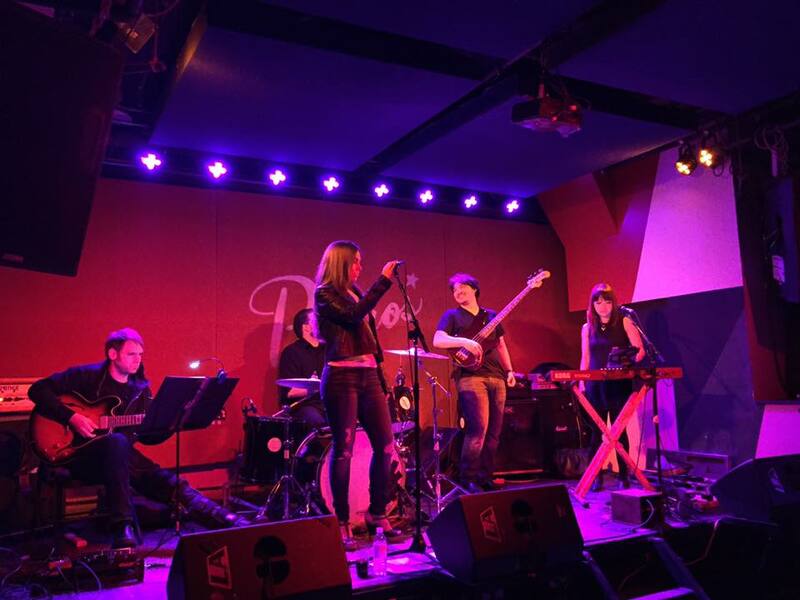 I worked with my band and with other co-writers and found something that felt more real. It made me realize that I’m not the only one who listens to lyrics and as I found my voice it kind of evolved from there. You just released your first EP, Simple in Disguise. Tell me about the recording process for it. My old drummer who was the producer of it, had his own recording studio and knew I wanted to record. I perform live all the time, so the stage and I are good friends. But I’m not as comfortable in the studio. It’s just not a natural place for me. I don’t like the over produced sound, it was a very big thing for me. I said to him “I’m totally down to work with you but it cannot be over produced. Yes, I understand I have pop music so it’s going to have a production quality of pop music but I don’t want it to sound like weird, fake instruments and like I was auto-tuned. We went in with that expectation. We recorded it over a period of a week. Each musician came in for a day. I did vocals last, along with harmonies. The song where the album’s title comes from, “Simple,” is a song about bullying. But it looks beyond what the victim goes through and looks at what is behind the bully. I think that’s important because both children are broken, just in different ways. What was your perspective in writing this song? Most of my songs are about love or relationships in some capacity. This song literally flew out of me. It was this weird, cathartic moment. I was made fun of in 7th and 8th grade because I was chubby, I was called horrible names by two boys. It still impacts my vision of myself. It’s crazy because I work really hard and I see what I look like and I know what size I wear. But it still has this deep impact on me. It was two guys, but I wrote to a girl because there was a girl who was mean to everyone. I was tired of letting other people control how I saw myself. I had lost a bunch of weight right when I graduated college, naturally and healthy. And I got made fun of by some man on the street. Calling me fat when I was probably the thinnest I had ever been. And I kept thinking well, this man must be right, I must really be fat. I was thinking about all of these things and how much they impacted me, and all of my friends and what they go through, and people’s perceptions of themselves based on what other people say and what other people do. It all kind of came out. I thought about the mean girl who wasn’t the one who made fun of me but was mean to everyone. I thought what pain must she have been going through internally that she would do this to everybody else. To make everyone else feel so small and they had nothing except for what this girl thought of them. Basically, underneath all that stuff that she’s trying to hide, she’s really just a simple person. There is nothing different about her, she has all the same insecurities that anyone else does. And I felt all these kids and adults, go through all of this stuff and blame themselves a lot of the time. I wanted them to know there’s no need to conform to anyone else’s standards of beauty. Your perception of yourself should be your perception of yourself and not what someone else tells you. Simple in Disguise deals a lot with self-realization. Learning from mistakes, learning about yourself and what you want and don’t want from a relationship. Is your writing cathartic or more of a ‘look, I’ve survived and I’m a better person because of it’ type of statement? The album has a pop feeling to it but “Fill Me Up” has more of a rock edge. It’s also a bit of an angry song, so is that how the rock feel played into it? I’m definitely a rock girl, ’90s rock is my thing. I grew up with Alanis Morissette and those angry girls. If you listen to my cd player growing up in high school, I was listening to all that stuff. Angry chick music as they called it. I still love it. So it just felt right. It didn’t feel pop-py to me. This is a rock song, I knew it the second the words came out. The very talented singer-songwriter, the late Phoebe Snow was your cousin. You’ve talked about how she encouraged you and inspired you as a singer. Phoebe’s career choices were severely impacted because she always chose to care for her disabled daughter Valerie, rather than pursue options that would make that impossible. Tell me what she taught you on the importance of family. Honestly, that’s the reason that we grew so close. It was more family initially. My maternal great-grandmother and her grandfather were siblings. They are all Holocaust survivors. So we were raised in a family where tradition and family was really, really important and survival was really important. And I just don’t mean survival from war, but survival as a family. Phoebe and I didn’t actually meet until I was sixteen. We immediately bonded over family and how we were raised. Our families were really tiny because of the war. Our families were killed in the Holocaust, so it was a big thing that family always comes first. I don’t know that I even needed to learn that from her, that’s kind of ingrained in my family. But she showed it to me even more so when I met Valerie. She was severely handicapped, she never talked, she never walked. It was probably the worst thing that you could ever ask for but she (Valerie) was such an amazing woman. Phoebe told me “I was told Valerie would only live until she was two years old. So in my brain, initially I said ok two years outside of the music business. If I lose it, I lose it. If they welcome me back, great.’ Then she (Valerie) lived until she was 36, I think. That was so unexpected. Phoebe lived for her. Aside from music, that was the main conversation, how family always needs to come first. I would never give up family for fame, that’s just so ingrained in who I am, but Phoebe was all about family, all about her daughter. She looked at Valerie as a blessing and taught me that perfection doesn’t exist. I asked her how she handled it and she told me “initially it was hard for like five minutes because you want your children to come out perfect. Then I looked at her and she was perfect.” I remember sobbing at that moment and realizing you just deal with what God gives you. Be it losing your whole family in the Holocaust or having a child that is severely handicapped and needs you every second of the day. She just really taught me the value of life. You have some New York City dates coming up, including one at The Bitter End, where Phoebe was first recognized as the incredible singer she was. You’ve played there before, so what’s does it feel like having her spirit surround you? It always sticks with me and the feeling that she’s there comes out even more when I’m at The Bitter End. I don’t know what I believe in terms of reincarnation, or where you go when you die and all of that, but I do believe that the soul and the spirit of hers is definitely there, I know that she’s watching me. 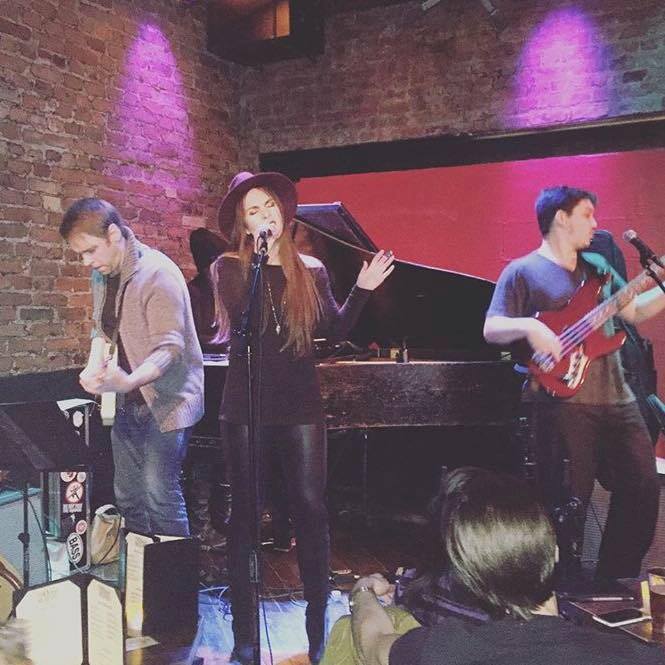 If you’re in the NYC area, you can watch Jess perform at The Bitter End on March 3rd.